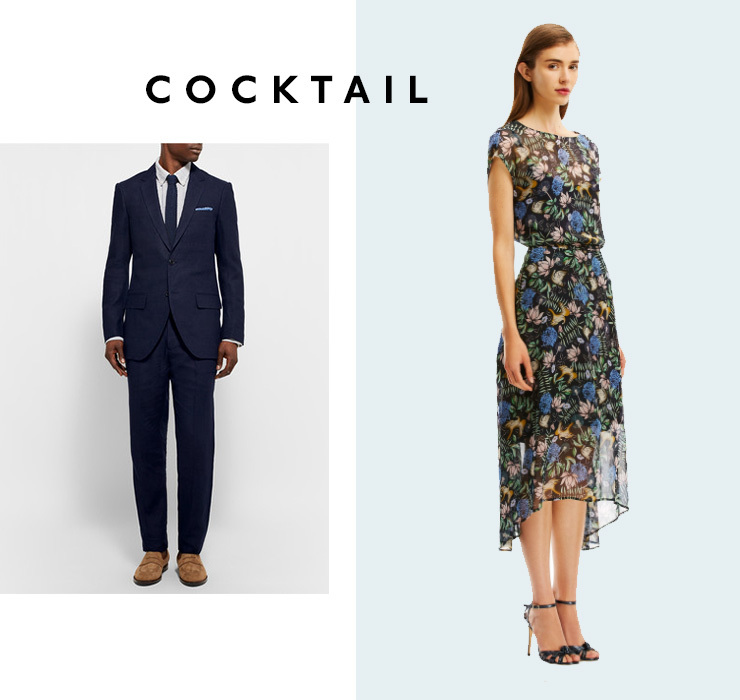 Wedding season is nearly upon us and shortly we’ll be in a right ol’ flap over what to wear. Most invitations will include a dress code, but increasingly they’re a little ambiguous or we’ve straight out got no idea what they mean. We’ve decoded all the most common dress codes to bring you a list of what they mean in 2016 and what you should be wearing. Thank us later when you’re perfectly on point for the rest of the season. Note: If dress codes include variations such as festive, creative, or optional, rethink your friends. That sh**s too difficult. This is a really straightforward one. 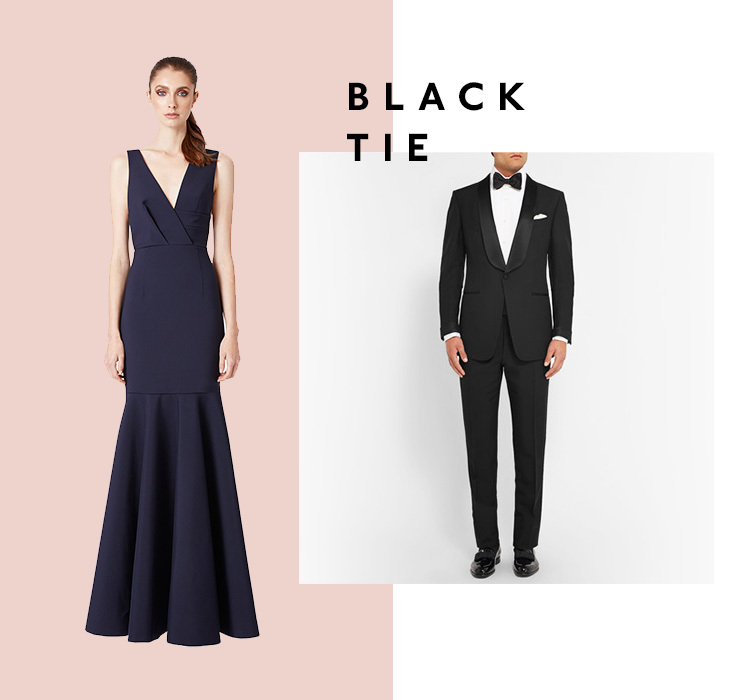 Black tie equals tux. There’s no wiggle room here, gents. A few gentle pointers: Wear a proper dinner shirt, not just the plain white business shirt you already had. Shine your black shoes. (step away from the riding boots) Wear studs and cufflinks; it’s the little details that matter. Wear a black bow tie, bonus points for tie-you-own rather than clip-ons. I don’t care what you’ve seen your mates doing, black ties are not ok; save them for a funeral. Black tie is slightly more ambiguous for the gals. In days gone by, it would’ve been a strict call for floor length gowns, but this is 2016 and our dance moves have become more vigorous. I’ve noticed that black tie in Queensland is strictly long dress, but the Mexican states are a little more relaxed on this. To be on the safe side, go for something that’s a flattering cut and over the knee. Dark suit, (personally I’m not a fan of black, but it’d be acceptable.). Solid colour shirt. Tie. Super simple. Make sure it all fits well, your shoes are shined and your tie is on-point (not too wide, not too thin) and you’ll be looking mighty fine. What a shocker of a dress code. This can vary hugely, depending on climate, size of the company you work for, and the average age of the office. Generally speaking, it means suit pants, long sleeve shirt, suit shoes — so basically, think a suit without the jacket or tie. I had to do a bit of googling for this one, and everywhere I looked I saw the term ‘blouse’. What the heck even is a blouse? I’m just going to ad-lib and say ‘nice top’. Pair your nice top with tailored pants or a skirt, and in my opinion, you can get way with good quality ballet flats. 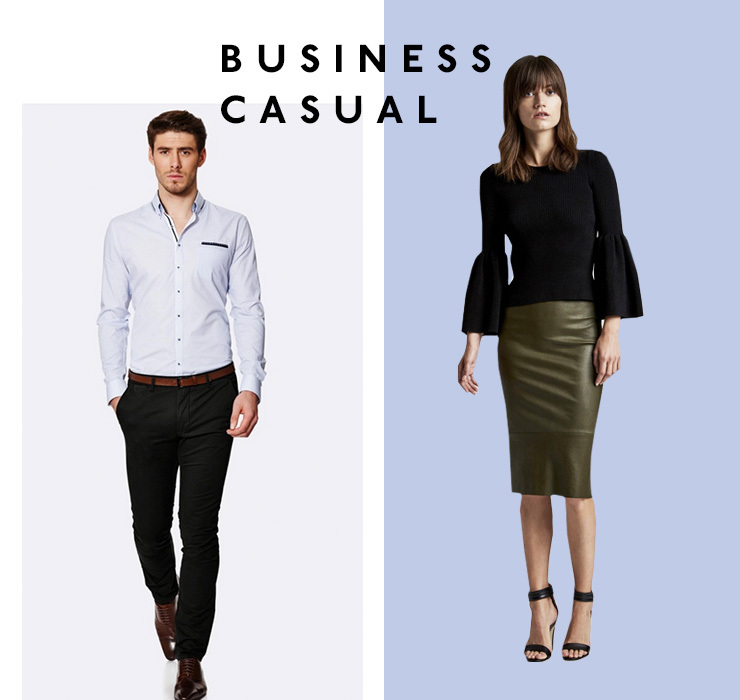 Is this the most boring dress code there ever was? It’s probably easier to define this by what NOT to wear. 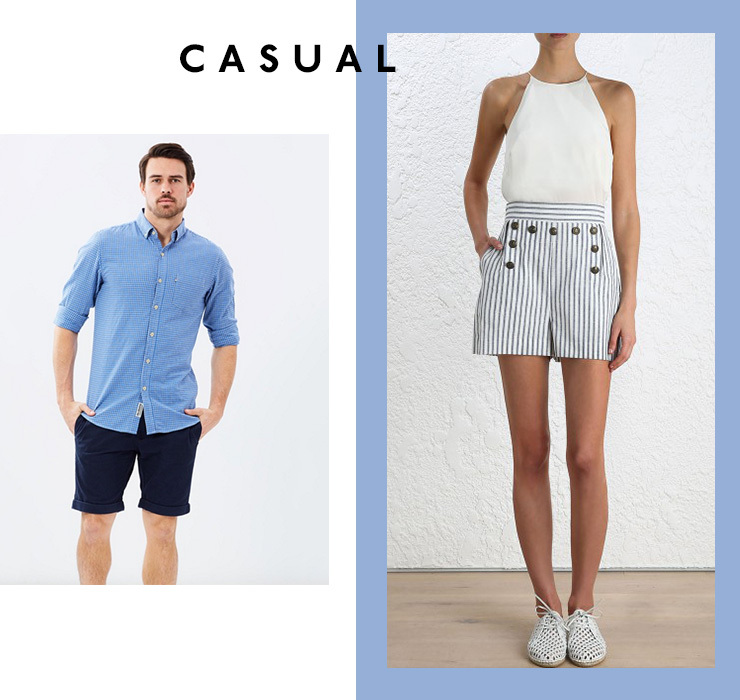 Think casual, but no board-shorts, no singlets and no thongs. A coloured shirt, jeans or chinos and anything that’s not thongs or runners and you’ll be pretty home and hosed. Now’s the time for flat shoes. Pants or skirt, you’re allowed to swing either way. Team them with a nice top and some simple jewellery and you’ll be looking the goods. Avoid blue denim to be on the safe side. Wear your best BBQ getup.